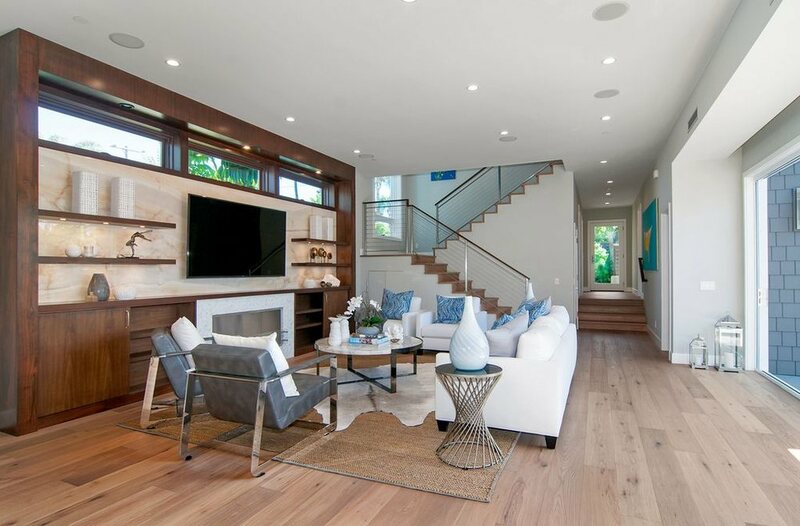 A recent Hardwood Flooring installation in Carmel Valley San Diego was a project in which our client decided to use 3 different wood products to provide separate living areas with 3 distint different looks. They decided to use smooth maple for a more formal look in the living area downstairs. They selected a 5" Maple distressed hand scrapped hardwood for the heavier trafficed hallways and kids rooms. Then they were passionate about using 5" smooth brazilian cherry in their master retreat for an awesome sancuary type feel.